This wonderfully entertaining book also happens to be quite effective. Everything any child will need to know about chess strategy and more is here in this book, which is well laid out and easy to follow. 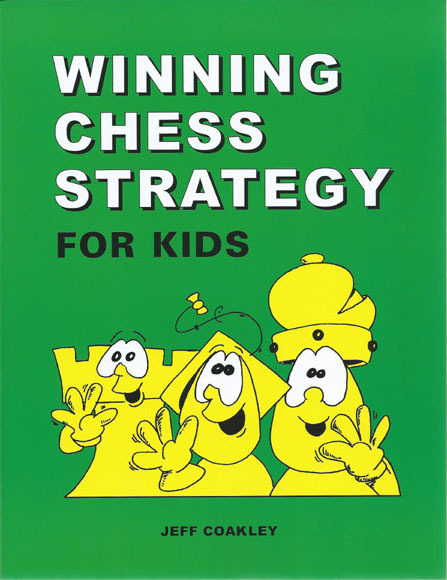 Part of the fun factor for kids is that the book is replete with cartoon images of chess characters to help make the learning experience more exciting. A bright and colorful cover, as well as the large workbook format and algebraic notation make this a book which will occupy your child's attention for many hours. The flexible "perfect binding" makes it easy to turn the pages and have them stay in place.